During the pregnancy food and diet is more important to alleviate constipation problem. It is always advised to add more fruits and fresh vegetables. Add more green leaves. Badam Gum - This is a type of gum in white colour taken from badam tree. 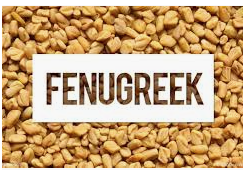 Along with badam gum it is advised to have it with milk and honey to cool the body as well avoid the constipation. During pregnancy time constipation is very dangerous. Constipation leads to certain disorders in babies growth. That may give shiver effect to defect in babies physical/mental growth. Constipation may cause the dangerous problem towards babies intelligence Quotient. 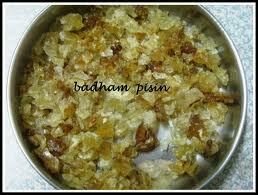 In the next article I will give you more recipes using Badam Gum.